What’s the difference between 5D and Virtual Reality? 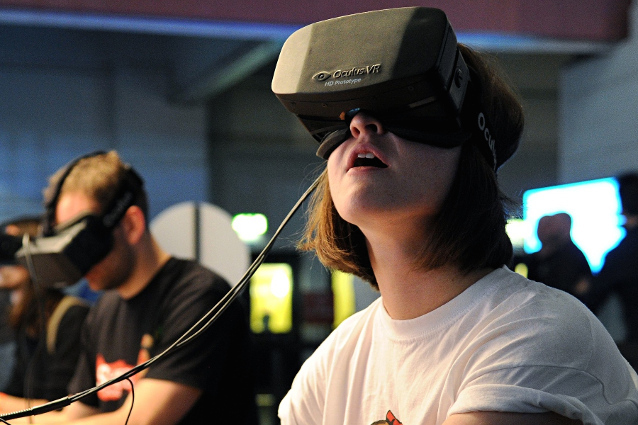 What’s the difference between 5D and Virtual Reality (and what do they have in common)? In entertainment, there’s nothing more exciting than experiencing a story from the point of view of the main character. People are constantly in search of engaging adventures to run away from everyday routine. Multisensory films and virtual reality are two of the most compelling technologies in this regard. Thanks to VR and 5D, people in the audience can actually get into the story, as they become actors in the narration. What are the differences between these technologies? What do they have in common? Is there a point where one ends and the other begins? 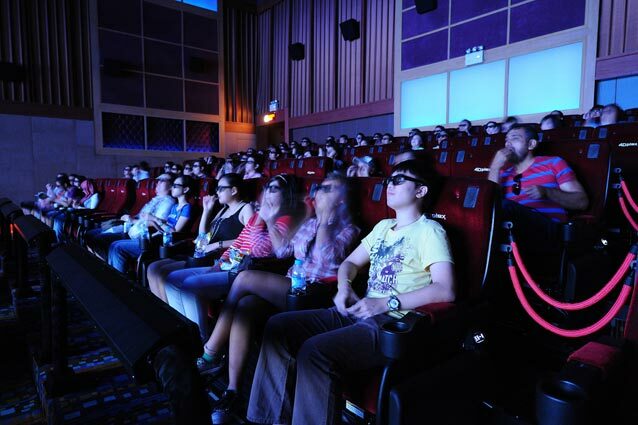 Both virtual reality and 5D put the viewer in the center of the multimedia experience. The two technologies aim to engage with the audience by making people think they are living into a different reality from the one they’re used to. But the ways 5D and VR deceive our senses to make this identification process happen are very different. This is how a 5D experience looks like: the audience gets into a room that, at first glance, is very similar to a traditional theater. What really makes the difference are the seats. Movements, vibrations, ticklers, bubbles, scents, air and water blasts: these are just some of the sensations that 5D seats can replicate. Multisensory effects mix with the stereoscopic ones, brought to life thanks to 3D glasses. Let's see how VR works. First of all, in order to immerse herself into a virtual world, the viewer has to wear a head-mounted display (HMD). This hi-tech visor can track every head movement, in order to make the exploration of the virtual environment as vivid as possible. With HMDs, the point of view constantly changes according to head movements. It’s a life-like experience: HMDs can be paired with other equipment to simulate hand gestures and other interaction methods in the virtual world. To sum up, 5D uses technologies that encourage immersion in the story together with other participants. With VR, identification happens in first person, thanks to a dedicated equipment. Maybe you're wondering if these two technologies have a substantial difference in cost. Probably, they said you that to try VR you’ll only need a smartphone and a headset made out of a cardboard. Well, this is not exactly true. Of course there are cheap solutions that can give you an idea about how virtual reality works, but creating a professional VR station is not any cheaper than assembling a simulator or a theater for multi-sensory contents. It goes without saying that costs proportionally increase with the quality of the technology involved. A dome venue with displays that completely surround the audience or a flying theater - a hi-tech structure that can simulate flight - are definitely more expensive than an entry-level 5D simulator. Likewise, to experience VR at its best, it’s crucial to use high resolution HMDs. Additional hardware can be implemented to bring interaction one step further. Of course, all this equipment weights on the final cost. When technological features are similar, in order to involve the audience into an immersive adventure, VR and 5D technologies cost about the same. Differences are to be found on the technical side, that has nothing to do with budget. Who said 5D and VR cannot join forces? A mixture between 5D effects and movement and VR interaction and immersivity can be the trump card to deliver an experience that your audience will never forget. There is always room for improvement for immersive technologies. Technology is a means, not an end, to give to your spectators what they’ve always waited for. The different options don’t compete against each other, but they can work together to tell an engaging story. Why limit creativity? Either for virtual reality and multi-sensory movies, the viewer experiences stories from the inside. 5D does so by pushing cinematic action to its limits, while VR relies on immersivity and interaction in the film. 5D is for those who are in search of an evolution of traditional cinema, while VR is for those who prefer a life-like interaction with virtual environments. Start-up costs are very similar. 5D and VR can flawlessly work together: you can mix 5D effects with VR immersivity to give birth to jaw-dropping adventures. Which kind of immersive content do you prefer? Virtual Reality or 5D? Have a look to our movie library and watch our immersive films in full length!